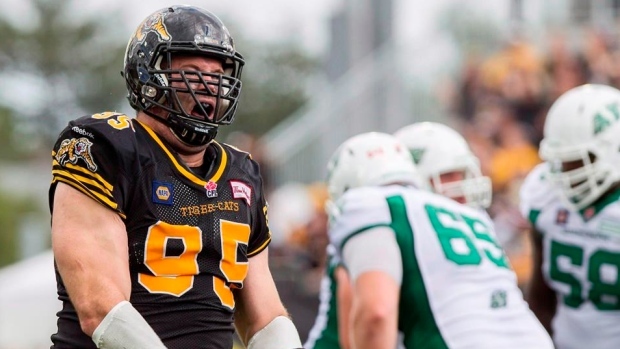 TORONTO — The Toronto Argonauts released veteran Canadian defensive lineman Brian Bulcke on Thursday. The 29-year-old native of Windsor, Ont., signed with Toronto as a free agent this off-season and spending three years with the Hamilton Tiger-Cats. But Bulcke opened the 2016 campaign on the six-game injured list. The six-foot-four, 281-pound Bulcke made his Toronto debut in the club's 34-17 home loss to Winnipeg on Friday night, registering one tackle. Bulcke was selected in the sixth round of the 2010 CFL draft by the Edmonton Eskimos. The former Stanford star was dealt to Calgary in 2011 before signing with Hamilton as a free agent prior to the 2013 season. Bulcke enjoyed a banner 2013 campaign, registering career bests in tackles (24), sacks (three) and fumble recoveries (three). But he was hampered by bicep and knee injuries in 2014 and '15. Bulcke started 27 games with Hamilton, recording 41 tackles, five sacks and three fumble recoveries.